Monarch Gold’s Beaufor Mine 20 km northeast of Val d’Or, Quebec. 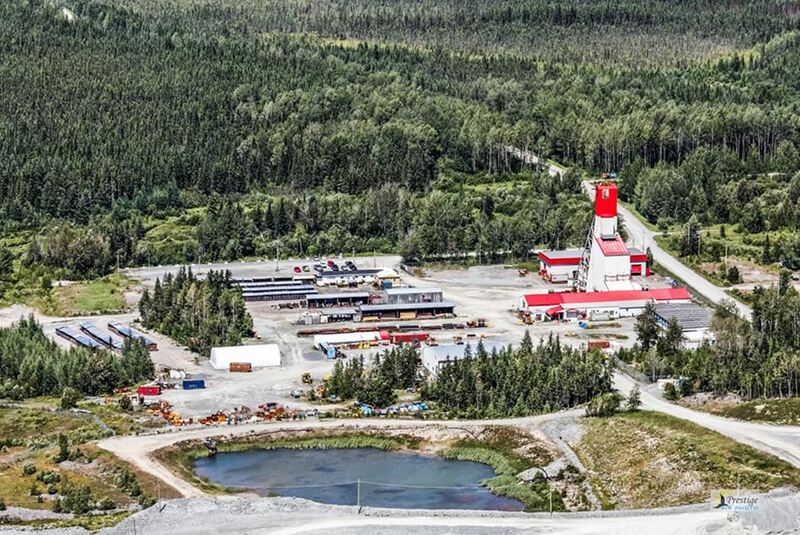 Source: Monarch Gold Corp.
Monarch Gold Corp. [MQR-TSX; MRQRF-OTC; MR7-FSE] said Friday February 15 that it has resumed diamond drilling at its 100%-owned Croinor gold property near Val d’Or, Quebec. Monarch shares advanced on the news, rising 2.44% to 21 cents. The shares trade in a 52-week range of 21.5 cents and 14.5 cents. Before drilling was suspended due to a winter freeze, exploration crews had extended the limits of the Croinor deposit, returning numerous intersections with high-grade gold values over good widths, the company said in a press release Friday. Results included 18.40 g/t gold over 1.6 metres, 8.24 g/t gold over 9.0 metres, 43.25 g/t gold over 2.1 metres and 74.23 g/t gold over 2.0 metres. Based in Quebec City, Monarques Gold is an emerging gold producer, aiming to achieve ongoing growth through a large portfolio of properties in the Val d’Or mining district. The company has over 240 km2 of gold properties, including the Beaufor Mine, the Croinor and Wasamac advanced projects. The asset portfolio also includes the Camflo and Beacon mills. The company offers custom milling services out of the 1,600 tonne-per-day Camflo mill. Croinor is an advanced staged project at the pre-feasibility stage. Monarch has said the Croinor Gold deposit is hosted in a sheared diorite sill 3 km long by 60-120 metres wide, striking 295 degrees north and dipping 50-60 degrees to the north. The initial 20,000 metre program at Croinor started in March 2018 and focused on the expansion and infilling of the Croinor gold deposit. The program was completed in early September, with a total of 19,935 metres of core drilled in 89 holes. The company said assays have been received for 77 of 89 holes. The first 25 holes were from two areas targeted for bulk sampling on the 125-foot level and the 250-foot level of the old mine workings. These holes were infill and contour drill holes for the two zones, with a grid spacing of 10 metres by 10 metres. Hole CR-18-636 returned 43.25 g/t gold over 2.1 metres, including 88.60 g/t gold over 1.0 metre in the 125-foot level bulk sampling area. Hole CR-18-647 returned 25.92 g/t gold over 3.4 metres in the 250-foot level bulk sampling area. The deposit remains open along strike and at depth. 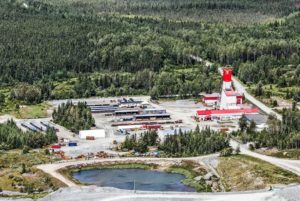 On Friday, Monarch said the purpose of the 1,750-metre drilling program that will start this month is to finish the 2018 program and to drill high potential targets at Croinor. “Exploration to date on Croinor Gold has demonstrated the strong potential for increasing the size of the Croinor Gold deposit and finding new zones on the property,” said Jean-Marc Lacoste, President and CEO of Monarch. “This greenfield drilling program on high potential targets is further proof of Monarch Gold’s confidence in finding more gold on its 151 square kilometre property,” he said.